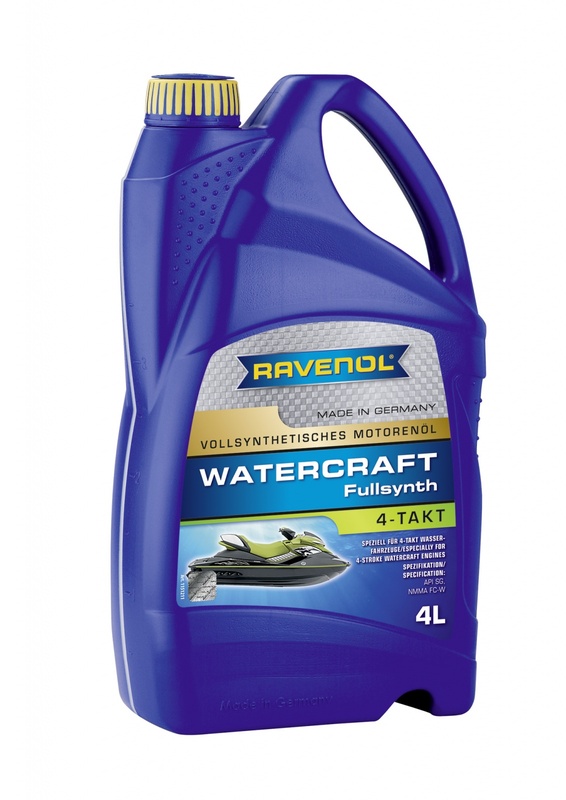 RAVENOL Watercraft 4-Stroke is a fully synthetic 4-stroke engine oil based on high quality Polyalphaolefin base oils together with a specialist additive package designed especially for use in marine petrol engines. The formulation ensures optimum oil change intervals, a high corrosion protection and low oil and fuel consumption. RAVENOL Watercraft 4-Stroke is suitable for use in water-cooled 4-stroke engines operating in both fresh and sea water environments, and especially where a lubricant is required to meet NMMA FC-W standard..